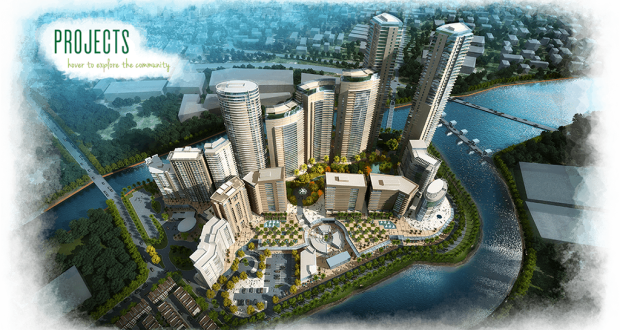 MANILA, Philippines – Invigorated by the continued strength of the Philippine economy, premier property developer Ortigas & Co. has laid out a strong pipeline of projects for 2016 that would allow it to take advantage of the dynamism of the real estate market. Seeing opportunities in various market segments, Ortigas & Co. is tailoring its offerings to meet the needs of new markets with different demographics and psychographics, which are all envisioned to grow in the years ahead. Toward this end, Ortigas recently announced its newest residential tower called Maven—a 62-story structure within its most popular mixed-use development, Capitol Commons. Maven is the third residential tower to rise in the enclave. Slated for completion in 2020, the residential condominium specifically targets young, modern professionals and entrepreneurs with its studio, one-bedroom, two-bedroom and three-bedroom units with an area of up to 115 square meters. Maven followed the successful launch of the first two Capitol Commons towers, The Royalton and The Imperium, which are expected to open their doors in 2018 and 2019, respectively. Both serve the premium segment of the market. Residents of the property developments will enjoy proximity to the establishments within Capitol Commons—its biggest and newest development to come to market. Offering various retail platforms for fashion, food, and entertainment, Capitol Commons has seen a robust growth in business activity in 2015, following the opening of Estancia in December 2014. 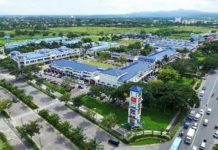 Also driving activity is the availability of 19,000 square-meters of prime office space for business process outsourcing companies, located above the retail stores of Estancia. Ortigas & Co. has already leased 8,900 square-meters at the North Wing to Maersk Global Service Centers (Philippines), which has about 3,000 employees, while the remaining 9,000 square-meters was leased to at least five firms including elite tech startup Rappler. To date, construction of various projects within the site continues at a brisk pace. The Royalton has now risen up the 11th level, excavation works for The Imperium is already complete, with the architectural and structural package awarded to leading Philippine contractor, DM Consunji Inc. Meanwhile, construction is also proceeding in full swing at Greenhills, where Ortigas is close to completing the P25-billion redevelopment plan of the Greenhills Shopping Center, one of the country’s pioneering retail hubs. The McKinley parking has already been opened to shoppers while the refurbished and iconic Unimart Supermarket is due to open soon. Recently, Ortigas announced the completion of the structural works of Viridian, a 53-story luxury residential tower, is at the forefront of the massive Greenhills redevelopment program, now on its second phase. In 2016, the company will unveil a second residential tower. 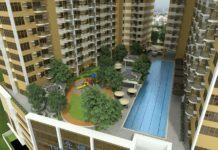 Development works are also going full steam ahead at Circulo Verde, a 10-hectare masterplanned community in Quezon City. 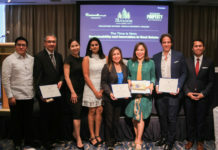 Recently, Ortigas & Co. launched Avila, the last tower of Phase 1, which includes the Majorca, Ibiza and Seville Residences, as well as the Circulo Verde Garden Homes. Alongside this, Circulo Verde opened a two-level, 8,000-square meter indoor-outdoor complex called Industria also this year within the Circulo Verde community. Another development, Lleida Tower, is due for completion by 2016.